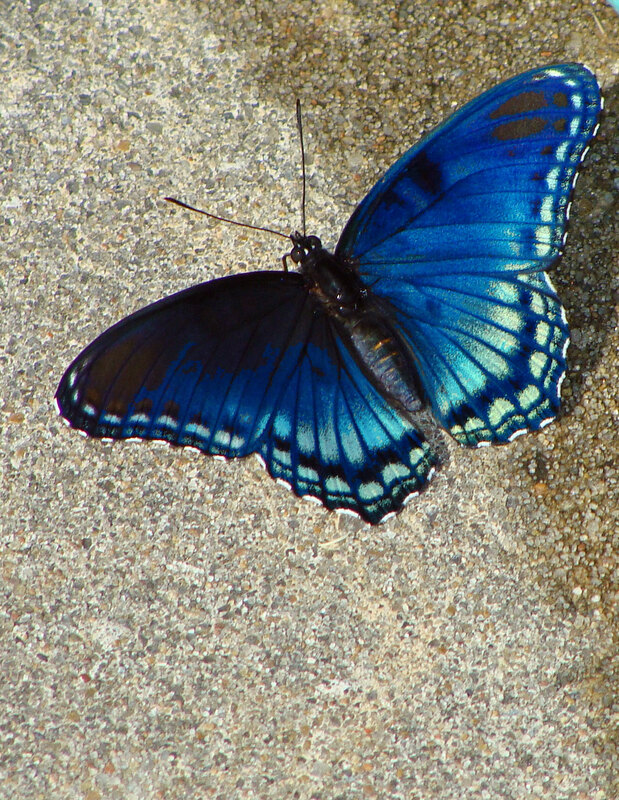 March 1, 2013, UPDATE: Thanks to Dan Chaffee, who ID’d this as a red spotted purple. Will have to hunt harder! Some days, you just get the blues, in a good way. The Diana fritillary butterfly is the state butterfly of Arkansas. 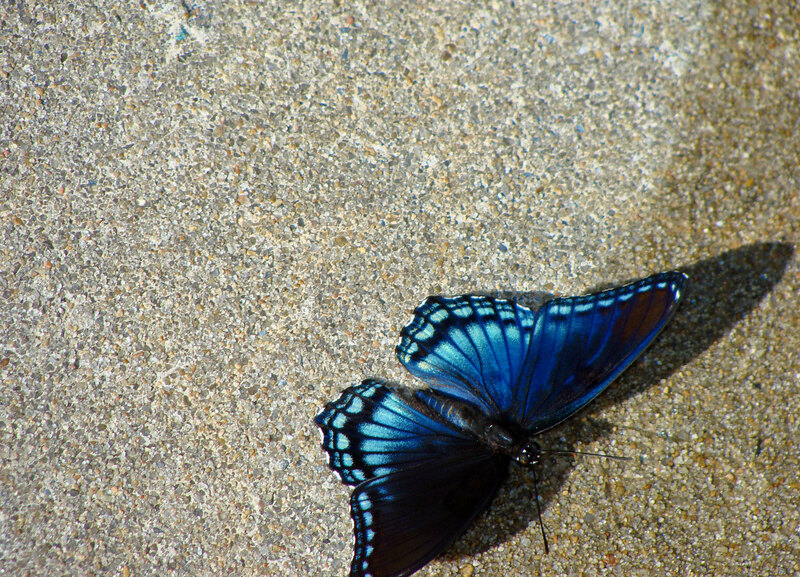 This Diana fritillary butterfly rests in the driveway while the truck gets a bath. These beautiful blue butterflies have a rather limited range, preferring the Ozarks, Ouachitas, Appalachians and Piedmont areas. We’re glad to have them here in the Ouachitas. 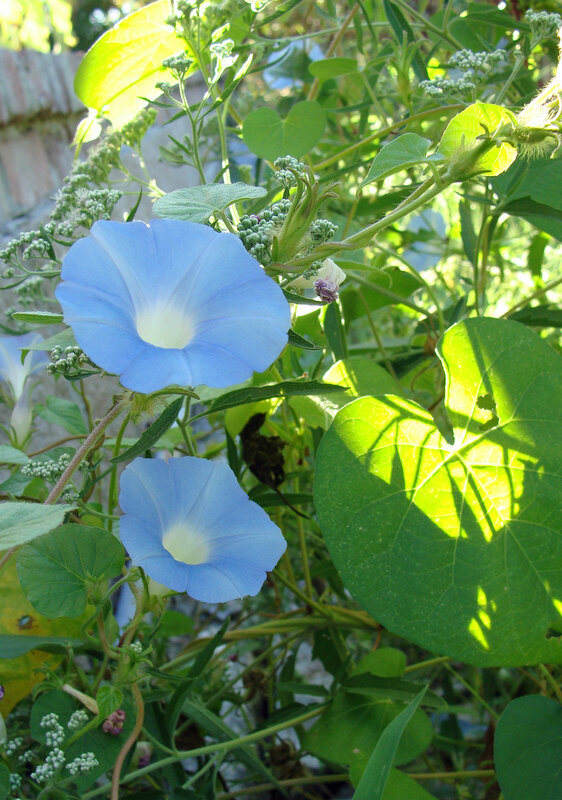 Blue morning glories reach for the sun. After chasing these butterflies for a year, finally, FINALLY, clear images. This one stuck around for hours during car washing day. This is the Red-Sptted Purple, not the Diana Fritillary. Sorry, that’s Red ::Spotted:: Purple! Thanks for the spot! Will get that fixed.